A tale of public process at work. When the residents of Advantage Avenue in Port Orchard got sick and tired of not being able to find adequate parking street, they took their complaints to the city in the form of a petition. The result was a bouncing baby resolution, approved by the city council on Tuesday, specific only to Advantage Avenue. Who knew such a creature existed? City code allows the council to establish regulations and fees related to parking in the city. Before the resolution, parking was not allowed on either side of the street, which is a dead end. Seven of the 8 residents who live along the north 350 feet of Advantage Ave., asked that they be allowed to park long the east side of Advantage and at the north end of the street. They agreed that parking restrictions would remain in effect along the east side of the street. The petition was circulated at the request of the city to resolve the matter. South Kitsap Fire & Rescue reviewed the proposal to ensure safety would be maintained. * On-street parking will be allowed through issuance of a permit, with a limit of two permits per household. * If the parking modifications prove to be problematic, the resolution will be repealed. Coming up this week at the city of Port Orchard. 7 p.m.: The city of Port Orchard Planning Commission will meet at city hall. On the agenda: McCormick Village Park Plan Update, status update and subcommittee report; Discussion and recommendation for Title 16: Business and Professional Land Uses, Subject: Resolution for revision to Business-Professional Zone. 7 p.m.: The Port Orchard City Council will meet at 7 p.m. at city hall. On the Agenda (among other things): Bay Street Pedestrian Pathway; Sanitary Sewer Rate Study (according to utility committee member Fred Olin, this pertains to McCormick Woods residents who have the STEP sewage treatment system; the city is considering replacing all this systems, which must be regularly maintained, with grinder pumps that are used by all other customers); and something about a hot dog vendor (wonder if city hall will get a hot dog stand like the Kitsap County administration building, which has two). The city of Port Orchard spent at least two years drafting its Downtown Overlay District Plan, approved in 2007. The plan included much discussed design standards intended to promote an upscale look in new developments or renovations of significant size. To that end, the city created a design review board, to be made up of citizens with certified good taste, some of whom were to have some formal knowledge of design. The DRB got it’s first “case” recently when jeweler Rudy Swenson proposed to renovate his building at 701 Bay Street in a New Orleans design, complete with wrought iron railings, brickwork, hanging baskets and other acoutrements reminiscent of the French Quarter. The council, on April 13, received a recommendation from the DRB approving Swenson’s design. Ultimately, however, the process to not go as planned, said Councilman Jerry Childs at Tuesday’s City Council meeting. Childs spent a lot of time before he was elected riding herd on the council to enact design standards that, as he said, would enhance Port Orchard’s “charm.” That’s pretty much why he ran for the council seat, he said. So he has a vested interest in making sure the DRB are effective gatekeepers for all that’s tasteful in Port Orchard. Childs blew off steam at Tuesday’s meeting A. because the DRB, in it’s debut performance, approved Swenson’s plans without having access to schematic drawings of the design elements, and B. Some members of the five-person board approved the plans without having attended the meeting at which they were discussed, Childs said. One of the five did not vote. The other two who were absent voted by e-mail, he said. Childs and the city’s development director James Weaver will meet to work out the bugs on the design review process. After spending so long on the DOD plan, the city should be getting more out of the design review board, Childs said. “The very reason I ran got it’s first test, and it failed miserably,” he said. Update May 12: Lary Coppola, speaking as a private citizen at the Port Orchard City Council meeting on Tuesday, took the opportunity “to address the situation on May 2.” Once again he apologized to the city and to his family. His statement and a comment of support from Larry DeBarthe are within the first five minutes of the city’s video recording of the meeting. The video is posted on the city’s website. 7:45 p.m. : I received an e-mail from Lary Coppola, who believes I misquoted him in the interview with Dori Monson. I have revised this post with deletions (struck through) and additions (italics) to indicate where the mayor believes he was misquoted. Port Orchard Mayor Lary Coppola, who was arrested early Sunday morning on suspicion of drunken driving, appeared on KIRO radio Friday afternoon and apologized to his constituents. Host Dori Monson, who was harshly critical of Coppola earlier this week, mispronounced his name … saying it as in Francis Ford etc. * But he gave the mayor props for appearing on the show. Apparently state education chief Randy Dorn, who recently found himself in a similar pickle, turned down a similar invitation from Monson. Coppola, asked to describe the events that let to his arrest, said he was driving home from a “charity event” (that would be the Port Orchard Rotary Crab Feed & Auction Saturday at McCormick Woods Clubhouse. About 100 yards from his home, Coppola said, he saw someone “run out of the shadows and jump in a car.” Suspicious, Coppola followed the car into “a driveway” (near The Rockwell apartments, Coppola’s home) and called 911. The other driver also called 911 to complain that Coppola was blocking his vehicle, according to a police report. Monson asked if, given the mayor’s .12 blood alcohol level, he should have been driving a car. Does he have a problem with alcohol? Monson asked. “No. I drink rarely and very little when I do,” Coppola said. “There was a time in my life I was a pretty heavy drinker in between marriages,” Coppola said, adding that over the past 20 years he has consumed alcohol “very little.” “I do not drink every day,” he said. Monson asked what it’s like to be a public figure in this situation. “It’s been hard on my family,” Coppola acknowledged, telling Monson that a pending adoption of his 6-year-year-old grandson, Bryce, may be in jeopardy as a result of the incident. Coppola and his wife Dee have custody of Bryce and have raised the boy since he was a toddler. Coppola said Bryce is aware that something is wrong. “Papa, did you do something bad?” Bryce was related to have said. What about calls for his resignation? Monson asked. Should public officials be held to a higher standard? So has the mayor entertained the notion of stepping down? Finally, “Do you have a drinking problem?” Monson asked, noting that Coppola’s admission of a bout with heavy drinking earlier in his life raised a red flag. Coppola deflected Monson’s suggestion, talking about how difficult the divorce was. “It changes your perspective on about things,” he said. He repeated that being Bryce’s dad gives him an incentive to stay sober. “I don’t want to set that kind of example for him,” “My wife doesn’t drink at all, and we don’t keep liquor in the house because I don’t want to set that kind of example for Bryce.” Coppola said. So Dori, about that name, it’s Lary, with one “r,” like Cary Bozeman. (I don’t know what this is all about; it’s just something with our public officials here in Kitsap.) And it’s “Cop” — as in “Oh, no, the cops are here.” — “po” — as in “podunk,” the image we’re trying to shed — and “la” as in do-re-mi-etc. Thanks for your interest in our town, and you’re welcome. Rudy Swensen, owner of Rings & Things jewelers, wants to expand his store at 710 Bay and turn the showroom into a destination even for those not in the market for rings and things. The project is the first the city will permit under new rules aimed at promoting downtown redevelopment. Swensen, a native of New Orleans, proposes to remake the front of the building in the style of the Big Easy’s French Quarter, with brick walls, arched windows, wrought iron sconces and hanging flower baskets. Swensen’s choice of motif is ironically appropriate, given that his showroom floor was under six inches of water on Dec. 3, 2007, the day a deluge caused flooding of historic proportions throughout Kitsap and Mason counties. While not on the scale of Hurricane Katrina, Kitsap’s December storm was an event those who endured it will tell their grandkids about. Bay Street has been prone to flooding over the years as a result of the city’s forefathers building it on fill about 10 feet too low, according to city engineer Mark Dorsey. Swensen secured financing for the project, on which he expects to spend more than a quarter million, through a Small Business Association loan. Because Bay Street is officially a flood zone in the Federal Department of Emergency Management’s books, Swensen is required to pay an annual premium of around $3,900 for the life of the 30-year loan. He hopes to be able to pay the loan off in 15 years, but even so that’s a considerable chunk of cash. “Given that Bay Street was mostly fill during the 1940s and 1950s or even earlier, the Federal FEMA Flood Maps still consider much of downtown as within the Flood Zone and would require additional flood insurance and/or requirements for new construction,” explained James Weaver, the city’s development director. Port Orchard, like other jurisdictions, is developing a stormwater utility under updated federal and state guidelines. The improved system for managing run-off, now in its infancy, will be phased on over the next decade. Swensen (and FEMA) can’t expect a quick fix. Swensen doubts that even when the system is in place FEMA will promptly remove the Flood Zone Scarlet Lewtter. Give it a 100 years or so to see how it holds up, officials are likely to say. In the meantime, he’ll pay extra on the loan. “Let’s say this, for everything you do in the world, you’re going to get tagged,” Swensen said. Here’s the city’s flood zone map. Is your property on it? It seems the Kitsap Regional Library Board faces a steep climb if it does indeed ask voters to approve a library levy id lift in November. The board will make a decision on whether to run the levy in the next few months. In the meantime, they’re keeping their eyes on the economy, voters’ moods, other possible measures that could run at the same time and “political” factors, including the possibility that Port Orchard’s library could join the KRL system. Finance committee chairman Rob Putaansuu, says annexing into the library district would give Port Orchard residents a say in any library levy lid lift. Putaansuu and other council members have said it would not amount to a tax increase, and that’s true … in one respect. Port Orchard property owners would not see an increase in their library tax, but, according to Kitsap County Assessor Jim Avery, the city could raise its levy rate as a direct result of the library annexation. To give credit where credit is due, I got the heads up about this from a piece by South Kitsap columnist Bob Meadows, who gave a detailed explanation. I’ll try to give the Cliff Notes version. Port Orchard residents have access to the same books, CDs and other materials available to KRL patrons. They can check out and return those materials at any KRL branch. And they pay the same library property tax rate as KRL patrons, but they pay it in the form of a Port Orchard library tax as opposed to the regional library district tax. The city forwards revenue from its library tax to KRL, essentially acting as a pass through agency. As Meadows points out, Port Orchard’s annexation into the library district would create a gap or void between its highest allowable tax rate and the amount it actually collects, presenting the council with the opportunity to raise taxes. Avery calls it bonus taxing capacity. Significantly, the council would not be required to act on the option immediately, but they could “bank” the increase for future use. “This is the same thing we saw play out when the fire district annexed all of Port Orchard (and Poulsbo) several years ago. The City of Port Orchard and other regular taxing districts are limited by two things when it comes to how much they can levy in property taxes each year. They cannot levy above a statutory maximum levy rate (dollars per thousand of assessed value). And as long as they do not exceed that rate they can levy 1% above their “highest allowable” levy amount, exclusive of new construction. The “highest allowable” amount is usually their prior year’s levy. Because our assessed value increased dramatically from 2002-2007 levy rates were driven down to a point where they generally are not a factor unless voters have recently approved a levy rate increase. The problem creating all the confusion here is that while annexing districts (e.g. fire, library and cities) who are increasing the size of their district get to add an appropriate amount above the 1% to their “highest allowable” levy amount, there is no corresponding reduction to the “highest allowable” levy amount from the district that is losing property (emphasis mine, CTH). Logic would suggest that there should be a required reduction to the levy amount when a service area is reduced. In this case with the proposed annexation of the City Port Orchard to the regional library district, even if the city chooses not to take the bonus levy capacity of about $370,000 in the year following annexation, the money is still banked and available for future use. It seems to me it is going to take a very strong resolution on the part of the city council to convince the voters in the city that they will not see higher taxes as a result of annexation to the library. And then of course any resolution made by this council can be undone by future councils. Is Bremerton the Beer Caucus? 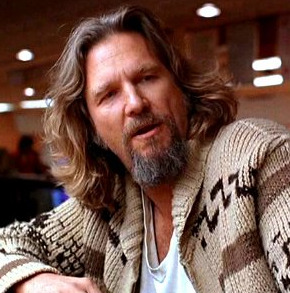 The Dude, charter member of the White Russian Caucus, though he often consorts with legislators from Seattle. This is really a topic more suited for another writer, one you might know, who because he now works for a competitor I won’t name. I’m not trying to insult him (Oh dear, now you know his gender.) by suggesting he’s an expert in mind-altering substances. But almost anyone is more of an expert than I am, given that I have chosen a life in which I really only get anything close to high when the dentist shares some killer nitrous. Unfortunately my dentist lives by a code himself, so we’re both on our best behavior around each other. The point is I’m no expert on the subject matter, and could really only guess at any place’s intoxicant of choice. Then again, I do read police reports. In political circles you have your caucuses. Our nine legislators are free to call themselves the Kitsap Caucus without any fear of copyright claims from us. We’re that noble. In both references Bremerton’s preference for beer over marijuana is, I guess, intended as an insult of sorts. Frankly, I know many people who think “beer” is probably being too general and too kind to the “We’re working on it” city. A random sample of stereotypical assumptions freely offered by co-workers within earshot led to the irrefutable conclusion that the beer of choice in Bremerton is anything that comes in a 40-ounce bottle, because it is more easily pilfered from the Sev. We could be high (And by “high” I mean “wrong.”), of course, so we ask you dear readers to come up with your own thoughts for what the intoxicant of choice in Bremerton is. While we’re at it, let’s include Bainbridge Island, Poulsbo and Port Orchard. Don’t feel limited to legal substances, because I know that would be a particular challenge for Port Orchard. Remember, Seattle is claiming marijuana (despite there being not a single White Castle restaurant in the city) and possessing marijuana will get you more than a stern reprimand that kills your buzz. Walt Washington, county auditor, just phoned to say that about 75 McCormick Woods residents did not receive the correct ballots and will be issued new ones. The residents were part of the area annexed into Port Orchard in July. The ballots they received did not have any city council races on them, which as residents of the city they are now authorized to vote on. The addition of McCormick Woods added about 2,000 residents to Port Orchard. UPDATE: The auditor’s office will be mailing out correct ballots Tuesday to the 71 voters who received the wrong version. Since it is early enough in the process, no extension will be offered. Had the mistake been discovered closer to election day, voters would have been given some extra time to send ballots back, Washington said. The Kitsap Sun editorial board interviewed the three candidates vying for a seat on the Port of Bremerton board of commissioners. Watch a recording of that by clicking on the video below. We’ll be live broadcasting more interviews with Kitsap candidates before the upcoming primary election and posting them on the Kitsap Caucus blog. One of the items of the Kitsap County commissioners’ agenda for Monday will be an allocation of the county’s hotel-motel tax revenues. Typically such a meeting can invite a long line of those testifying, from those saying “Thank you” to those pleading for changes. I don’t know what to expect on that score on Monday. Part of what will be on the list of expenditures will be different than the allocations I’ve seen in the past. There will be $50,000 to help pay for an economic analysis of the ferry system’s impact on the East side. This was the kind of study suggested less than a year ago in a meeting of Kitsap Regional Coordinating Council members, but eventually shelved when the different agencies that belong agreed they’d have trouble finding money in the budget. What’s pushing this now, of course, is Washington State Ferries’ long-term proposals, one that would continue the current service as is and another that would reduce boats in Bremerton and Southworth and would reduce night service at those docks and in Kingston. Commissioner Steve Bauer said the analysis would not be complete before the end of the Legislature. That could be a problem if legislators insist on picking one plan or another before “Sine Die,” the end of the session. Bauer is hoping the legislators will agree to push it at least another year, because whatever decision they make this year won’t have any financial impact until at least 2011. The total cost of the study is expected to be in the neighborhood of $75,000. The remaining amount would need to come from the KRCC’s other members. Andrew Binion covered the Bremerton City Council meeting Wednesday night, in which the council voted 7-0 to annex the bigger chunk of the South Kitsap Industrial Area. As for a 2003 agreement that would have Port Orchard providing sewer to the site? “We’ll annex it, and we’ll decide,” said Bremerton Mayor Cary Bozeman. The “it” is SKIA, not Port Orchard. This comes after the port requested annexation. The port represents about 54 percent of the ownership of SKIA property. The city’s opinion on the agreement is that it is not bound by an agreement it was not a party to. This (Tuesday) morning Port commissioners ratified the agreement they made in December 2005 with the Suquamish Tribe. The temperature in the conference room of the the port’s Bremerton National Airport main terminal building was fine before the meeting. It heated up later. Bill Mahan, port commissioner, took exception to residents’ complaints that the agreement the port made had been done in a back room somewhere. It was not the angriest public meeting argument I’ve ever seen, but it definitely qualified as “heated” after several residents were critical of the commissioners for the agreement. Bill Mahan made the comment I quoted in the story about people thinking it was done back room as being wrong. Kathryn Simpson took exception to it and said so in terms that were direct, but not out of control. Mahan responded back. After the meeting Simpson said she needed to apologize for her reaction to his reaction. Simpson and Mahan talked after the meeting and it looked to me that the tones were civil. Furthermore, “They have the casinos. They don’t share any of the money with us,” she said. Mahan began to explain again that the treaties that make these kind of agreements necessary have been upheld in state and federal courts, that if you want to stop it you need to convince members of Congress. Stokes, by the way, said he spoke with Bremerton city officials working a boardwalk promotional booth at the county fair that the city is prepared to fight the tribe’s objections in court. Stokes, as is mentioned in the story, abstained from the vote. Mahan said some people are upset at the port because it has to negotiate with the tribe at all. Henderson’s comments would seem to indicate that’s true. So do many of the comments on stories about tribal rights being asserted. Port Orchard getting tribal boats is the other big issue. Port Orchard Mayor Lary Coppola had something to say about, but a few others did, too. I was interested in the tribe’s take on the comments by Mahan and Cheryl Kincer that the tribe was not happy with the agreement. Kincer went so far as to suggest (Read that literally. She wasn’t explicit, but she did suggest . . . ) that the tribe did not agree to do a blessing during the Bremerton marina opening because it was not thrilled with the mitigation agreement. Leonard Forsman, tribal council chairman, said, “We didn’t get everything we wanted in that agreement, but we’re glad to hear the port held up their end” of the agreement by ratifying it. On the marina event, Forsman said the tribe decided to not attend for a number of reasons, the chief one being that it had made its contribution to the project by agreeing to the deal. As mentioned in a comment on another entry, a letter to the editor of the Port Orchard Independent takes issue with the Port of Bremerton’s mitigation agreement with the Suquamish Tribe. The agreement was made as part of the port’s Bremerton Marina, which was controversial, because port commissioners passed a tax that could have been subject to a vote, had residents known about it. The letter, Port gave the tribe a payoff, spells out the terms of the agreement. The letter writer, Mark Morgan of Port Orchard, became interested in the pact because before a free concert along the waterfront he had tried to go for a walk on the breakwater. Part of it was roped off and he saw the tribe’s fishing boats beyond the ropes. He called the port and asked questions, got a copy of the agreement, posted most of the terms and criticized the port because he believed the port got the matter “sneaked in with little or no public debate.” He also criticized us, writing that we’re willing to let government do things behind people’s backs. Kathryn Simpson, a South Kitsap School Board member, has also questioned whether the port acted legally, because the contract with the tribe was negotiated by Port commissioner Bill Mahan, but no vote was taken. We’ve contacted the port to get their response to this legal question. They’re working on a response. So is the state attorney general’s ombudsman. We’ve requested his response as well. The terms of the agreement (download PDF) do include the tribe getting 200 feet (You could read it to mean 250 feet.) of the breakwater to moor its fishing vessels, a $10,000 contribution to a net damage and repair fund and $7,000 annually (adjusted each year for inflation) to the tribe’s fisheries enhancement fund. The tribe is also supposed to cooperate when there are big marina events, abide by marina rules and it was required to write a letter to the U.S. Army Corps of Engineers stating that it did not oppose the Bremerton marina project. The net money, according to the port’s chief executive officer Ken Attebery, is because recreational boaters often unintentionally do damage to fishing nets. The fisheries money is for Gorst Creek and Sinclair Inlet. I was told the last 200 feet of the breakwater were for the “exclusive” use of the Suquamish Tribe. At least on the day I was there, public access was not allowed. I read that to mean people would not be allowed to walk on the breakwater while the tribe is fishing, or possibly ever. I called the port’s marina manager Steve Slaton and asked. The ropes were up because hinges broke on a transition plate. Transition plates connect floats to each other. When a hinge breaks, there is a tripping danger, Slaton said. Those hinges have been replaced and that section is open. I then asked if there was an opportunity cost to the agreement. In other words, is the port not taking in money in guest rentals that it could be getting if the tribe did not have that 200 feet. Attebery said the tribe’s main fishing season is July to September, so their presence at the Port Orchard Marina is during those months. Of course, those are prime months for boaters, too. The marina has never had to turn any boaters away, Slaton said. An additional note: Because one of you requested it, here (download PDF) is the agreement between the tribe and the state’s Department of Natural Resources on mitigation for the Suquamish dock. The Port of Bremerton commissioners will consider whether to go ahead with the second and bigger annexation petition to the city of Bremerton. I’m thinking live blog. See you at 7 p.m.